A few years ago my Aunt went into hospital with an infection. She came out dead. The day before she died she was apparently quite well. She was sitting up in bed doing the crossword. Everyone expected her to be out in a few days. My guess is if we had got her out when she was doing the crossword she might well have survived. The next day we were told that the infection had got worse. The doctors had debated whether to put my aunt into intensive care, but had decided that it was in her best interests to be put on something called the Liverpool Care Pathway. This is a treatment used for terminally ill patients. Once you are on it, there is no getting off. It was already too late to change the decision when we were told about it. My initial reaction was to call the Police and say that my Aunt had been murdered in the hospital, but I was persuaded that this would be pointless. The doctors would back each other up. The police would believe what the doctors told them. There would be a fuss, but nothing would change. We buried her. She was one of the first women to be awarded a degree from Oxford. She was much loved and might have lived for another twenty years. 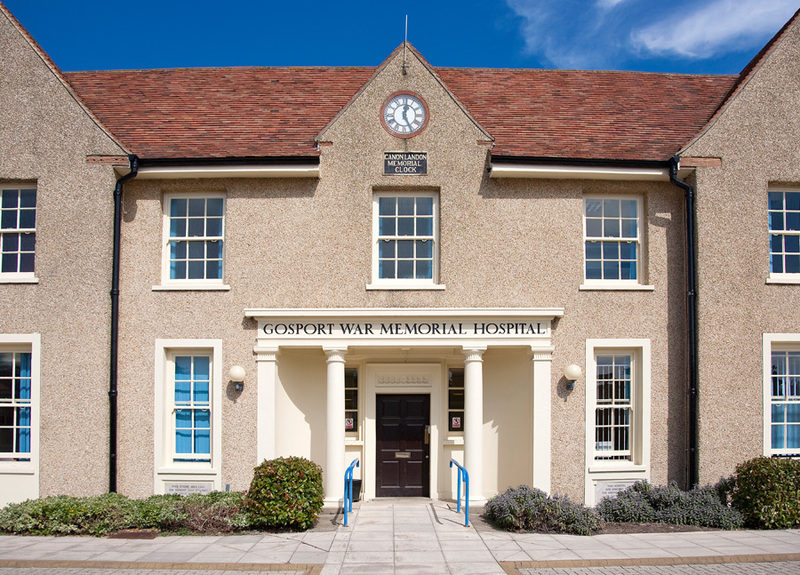 I’m therefore not surprised to find that in Gosport recently there has been a scandal about unnecessary deaths in a hospital. I suspect strongly such scandals are waiting to be discovered up and down the country. But most will stay hidden. It is very difficult to know the truth. There will be conflicting testimony. Grieving relatives may well be wrong about their assessment. I may be wrong in thinking they should have done all they could to keep my aunt alive rather than in effect putting her down. Perhaps her infection really had become hopeless. No doubt if there had ever been a court case medical experts using long words none of the rest of us could understand would have shown that this was so. But still I think there is a deep rooted problem. Our whole attitude to life and death has become distorted. If a child is born with a major disability, huge efforts are made to keep it alive even when medical knowledge tells us that the situation is hopeless. These cases frequently make the news. Desperate parents try to raise money for revolutionary treatments. There are plans to take the child to the United States or elsewhere. There is enormous sympathy from the public. There is intensive care for the almost hopeless case of the disabled infant, but older people are routinely put out of their misery when if only they could be made well they might live for years. Why do we not value the lives of everyone equally? But then older people are frequently neglected and considered to be an inconvenience. Some of us treat our own relations in this way. It becomes less of a surprise then that a doctor might view an older stranger as something in the way when he might well view his own elderly mother as little more than an inheritance waiting to happen. If a terminally ill person is in great pain, there is no problem morally in using sufficient medicine to dull this pain even if it has a side effect of killing the patient. If the intention is merely to ease the pain and this is the only way to do so, then it matters little if the person dies today or next week. Indeed it would be morally grotesque if a person was left in agony because a doctor refused to prescribe sufficient medicine to ease that pain. The danger of high profile scandals like the one in Gosport is that doctors will end up being reluctant to prescribe pain killers in sufficient strength out of fear that they will be accused of killing patients. But people like my aunt were not in great pain. No-one had told them that they were terminally ill. They just wanted routine treatment and came out of hospital dead. I think this happens for a number of reasons. We have lost the sense that life is something of ultimate value. Everything else is valuable only because I have life. All the gold in the world is no use to me at all without a life to enjoy it. But we treat life both at the beginning and at the end as something disposable. Babies in the womb are either the most valuable thing in the world, or else if they are unwanted the least valuable. More care is given to laboratory rats than is given to some 24 week old babies who might well be able to live independently outside the womb and certainly have more brain capacity than a rat. Yet there are rules about how to treat laboratory rats, while unwanted babies can be discarded with the rest of the medical waste. We have lost the traditional sense that suicide is morally wrong. No-one anymore condemns the person who kills himself. It is simply a choice and everyone is free to make it. It is this above all that has made going to a Swiss clinic to kill yourself something that is considered to be morally neutral or even praiseworthy. People with various medical conditions have gone to court to gain the right to die. They are scared that at some point they won’t physically be able to kill themselves and so want a doctor to be able to do it for them. These people are usually viewed with sympathy. It’s a very short step from this to a doctor deciding independently of the patient that this person’s case is really hopeless. A great deal of time and effort will be saved and a great deal of suffering avoided if they could only die today. It is obviously in the patient’s interest to die peacefully and without pain. Why shouldn’t I just give them a large injection of morphine or put them on the pathway that inevitably leads to death? This is what happens when you cease to think that life is the most precious of gifts and that it must be protected at all costs. A baby can be dumped because it is inconvenient and unwanted. When life becomes tiresome or unpleasant you can just check out. No-one will say you are wrong. Well this all just makes euthanasia whether voluntary or involuntary so much easier. We have a strange delusion about healthcare in Britain. Every European I have ever met including those from Eastern Europe is absolutely horrified by the standard of care in the NHS. Many fly home for treatment, refusing to risk it here. We all accept that nationalised industries like British Leyland were more or less a disaster, but perversely think that nationalised healthcare will be a success. It won’t be. It is a bottomless, inefficient pit, which grotesquely overpays doctors and disgracefully underpays nurses. The NHS desperately needs reform so as to resemble the sort of healthcare routinely found in countries like France, Germany or Switzerland, but there won’t be any reform so long as voters continue with their delusion. Happy Birthday NHS. To become a doctor you don’t need a first class mind. You just need to be good at learning huge numbers of facts. It’s like doing 100 “O” levels rather than one Ph.D. No original thought is required to become a wonderful G.P. In fact original thought would be a disaster. Let’s try this treatment I just made up. Lots of school children of moderate academic ability could be excellent doctors. What matters is a caring manner and common sense rather than the ability to think creatively and for yourself. It would be better if we expanded training of doctors so that there were enough and more. But instead the BMA prefers to run a sort of closed shop that keeps wages high. Doctors are used to being treated like little gods. They can keep us waiting, but the patient dare not be late. They dispense wisdom from on high. The British public tugs the forelock to the most wonderful health service in the world and the little gods decide who is to live and who is to die. Listen to the doctor. Do what he tells you your whole life and if you’re very, very good you might live to be a hundred. But don’t go near the hospital after seventy or you may just wake up dead. I am dreadfully sorry to read this terrible account. It is nothing like the experiences of members of my family, but I have certainly heard of this Liverpool Care Path. A crying scandal indeed, and in need of immediate correction. This is the kind of episode that cannot be resolved without good legal advice. I've experience hospital care in two EU countries outside of the UK. While the food is very significantly better outside of the UK, I can't say i noticed huge differences in the care or technology/treatments. The funding mechanisms were significantly different. I was billed for both EU visits but it was paid for by my mandatory 'insurance'. In Germany this was 5-600Euro per month extracted like a tax from my payroll. My employer paid the same as me. In Belgium it was paid by my trade union/political party healthcare subscription which was 35 euro per month. This is subsidized greatly by the government and taxes in Belgium are that bit higher than Germany to fund this among other things. A visit to the Dr is the same, you get a bill(35-50euro), you send it to your insurance, they pay you the money and you pay the bill. Almost everything gets paid, its rare and a surprise to have self funded exceptions. I have private insurance now in Germany and you get a better service, since they can charge you marginally more and are not as limited to what tests/treatments they can give you. This leads to you always getting an appointment but usually you are over examined.....Dr's also like to make money. On NHS I remember when my father was ill he would regularly attend hospital and appointments took literally months to get and you could sit around 4-5 hours. I didn't experience it personally but I would be pissed off if that was what i got delivered abroad. When the slotted my grandfather into a home I wanted him to die that night. He was utterly lost and forlorn. When i visited him it was a shell of who I knew and loved. It took 2 years for him to die and he had his leg and hip broken in that time while being piled in and out of ambulances. In the end we said no more hospital transfers, treat him here and thats it. My huge fear is that with our aging population is that thousands if not millions of us will share his dreary fate.